This hat is as much fun to knit as it is to wear. The undulating stitch pattern is intuitive as you work toward the cleverly placed decreases at the crown. 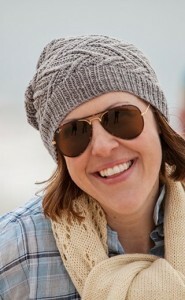 Shown here in Plucky Crew, this hat is perfect as a season spanning topper.